The 8th Leg starts with teams traveling by bus from Seville to the coastal city of Tarifa. 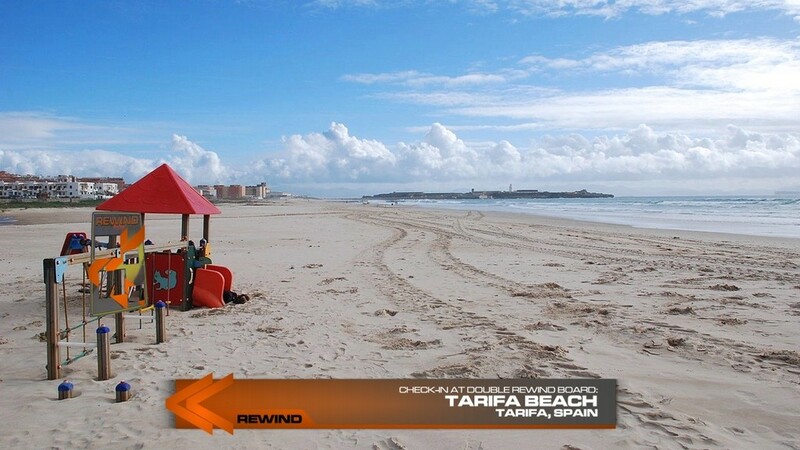 Teams will arrive in Tarifa at 11:15pm and they must make their way to Tarifa Beach where they will spend the night. At 8am, teams will be given the next clue which is the Road Block: Who can stand up? 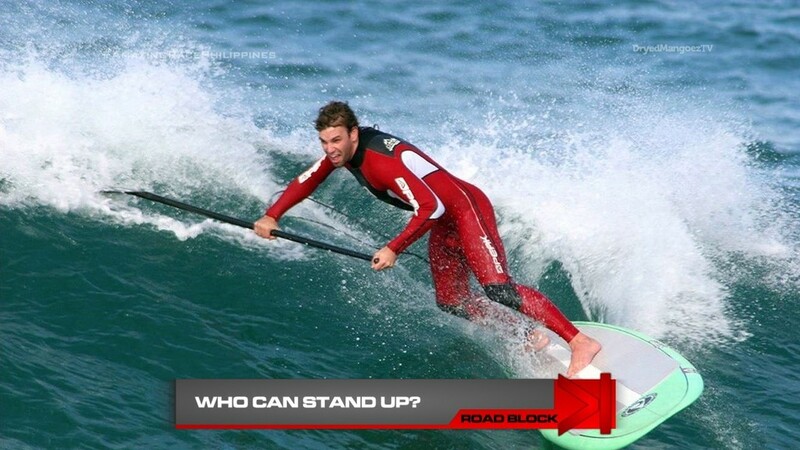 For this Road Block, teams must successfully surf a wave for at least five seconds to receive their next clue. Teams must now find the Double Rewind board somewhere along the beachfront. And also their next clue. 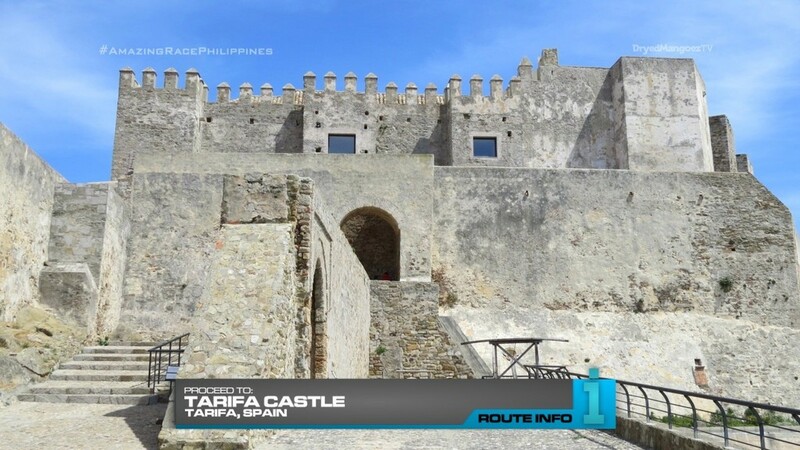 That clue directs teams to Tarifa Castle where they must search for another clue. 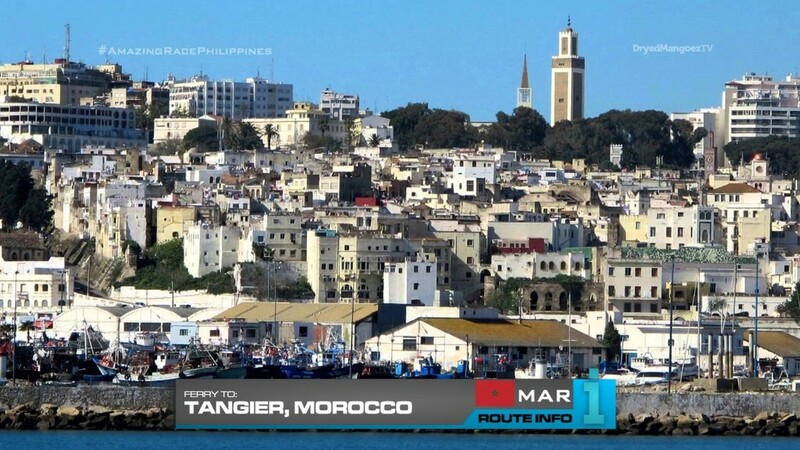 And that clue tells teams to take a ferry to Tangier, Morocco! 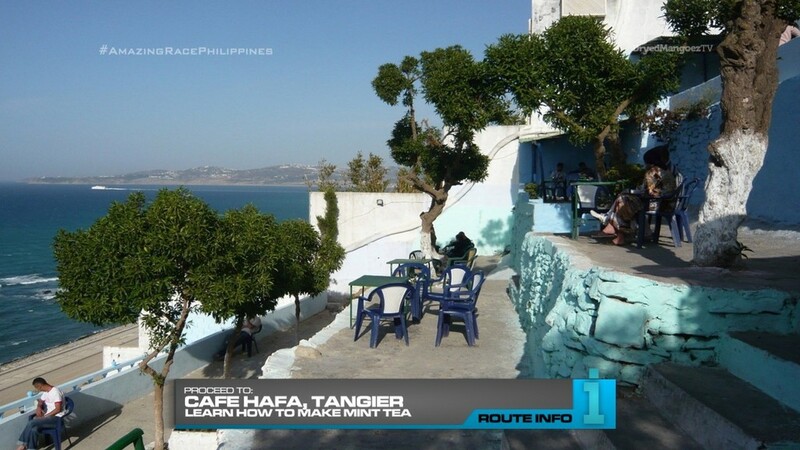 Once in Tangier, teams must make their way to Cafe Hafa where they will watch how to make mint tea, enjoy a glass and look for a man who will give them their next clue. 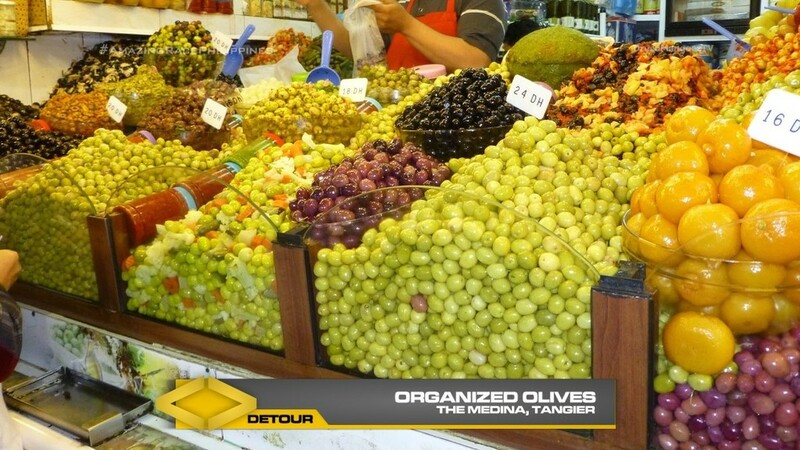 Teams will head to The Medina of Tangier for the Detour: Roll Up Rugs or Organized Olives. 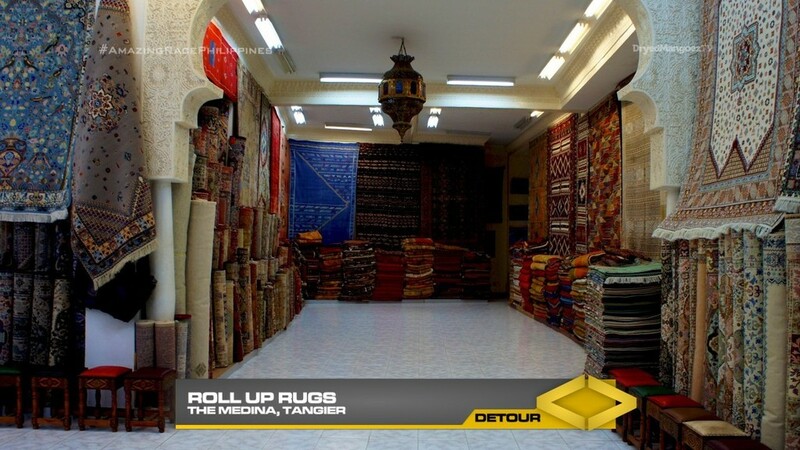 In Roll Up Rugs, teams must choose a rug order, find it in the big shop, roll it up and deliver it on foot to an address in The Medina. In Organized Olives, teams must sort through a box of olives and place them in the correct bins on the display. 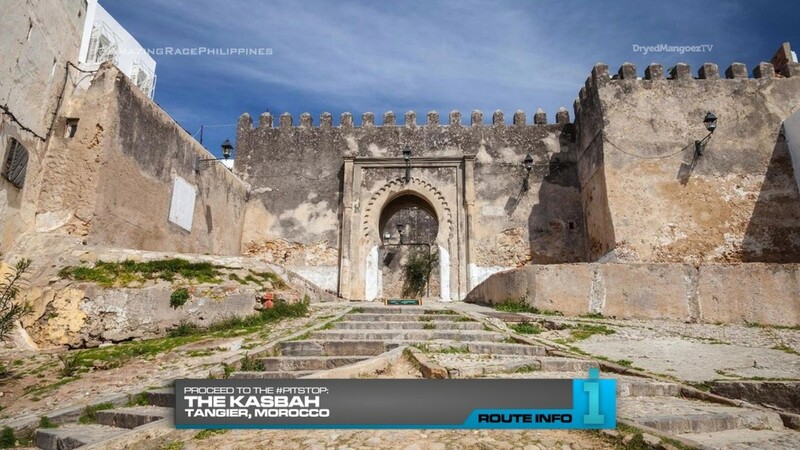 After the Detour, teams can head to The Kasbah, the Pit Stop for this Leg of the Race. The first team to check-in here will win P200,000 courtesy of Shell V-Power Nitro+. Two country Legs are always tricky. 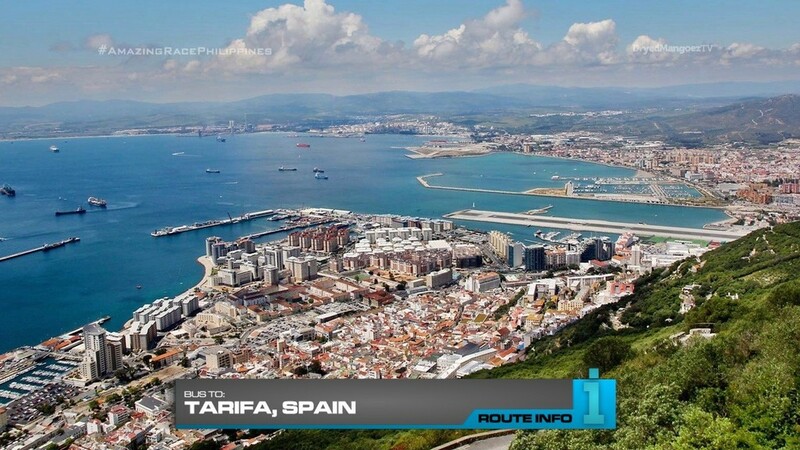 But I think this is a good spot since the ferry from Tarifa to Tangier is a common and short route. Tangier can probably host a full Leg on its own, but since this is a Non-Elimination Leg, it’s alright to split it in half. Tarifa seems to be a nice beach town. So surfing is an easy task to do. 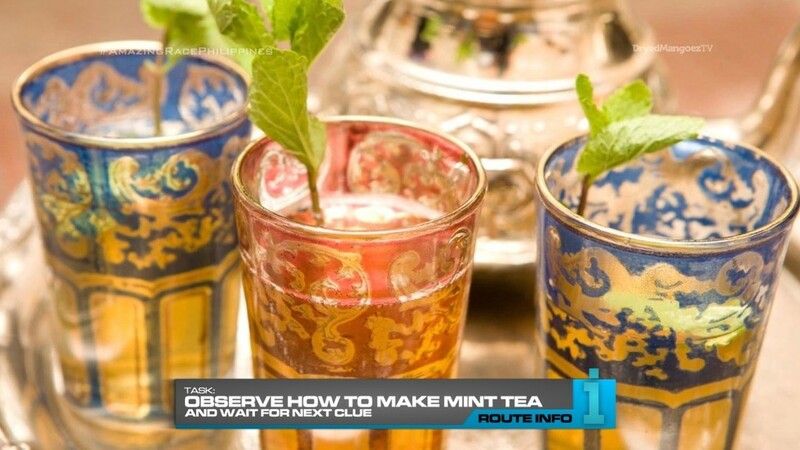 The mint tea observing will play a part later on, but the man with the clue stems from all these travel suggestions saying drinking mint tea in Tangier is great for people watching. Interesting. 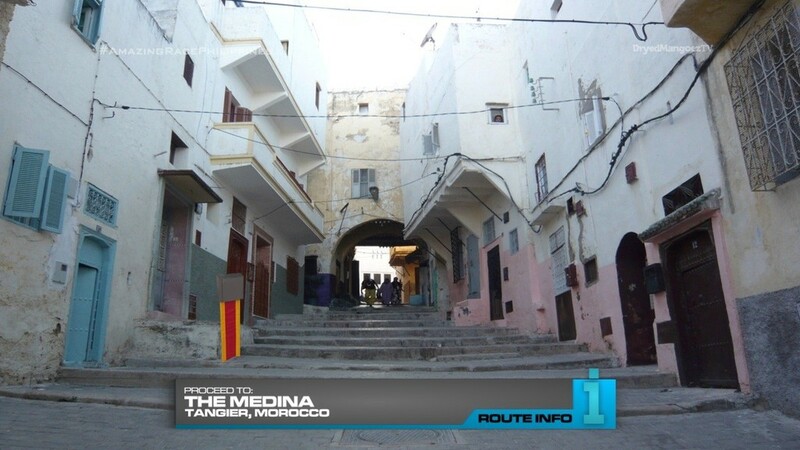 The Medina would surely be the spot of some kind of Detour. The Detour is pretty simple and recycled from other TARs. But it gets teams into a different and distinct culture so that would be great.